The Sow & Penk Internal Drainage Board was formed in 1997 by a Constitution Order under the Land Drainage Act 1991 (as amended). The River Penk is a small river flowing though Staffordshire, England. Its course runs mainly within South Staffordshire, and it drains most of the northern part of that district, together with some adjoining areas of Cannock Chase, Stafford, Wolverhampton, and Shropshire. It flows into the River Trent via the River Sow, one of its tributaries. The waters then flow northward to outflow into the Humber Estuary. The name “Penk” is is thought to be a back-formation from the toponym Penkridge. This was understood to mean “ridge by the Penk”; hence the river was assumed to be the Penk. The river contains many species of fish including Chub, Trout, Perch, Pike and reportedly, Barbel. The Penk is perhaps at its most beautiful between the villages of Brewood and Penkridge. Here the river meanders gently through the picturesque Staffordshire farmland and plays host to a variety of waterfowl and mammals. 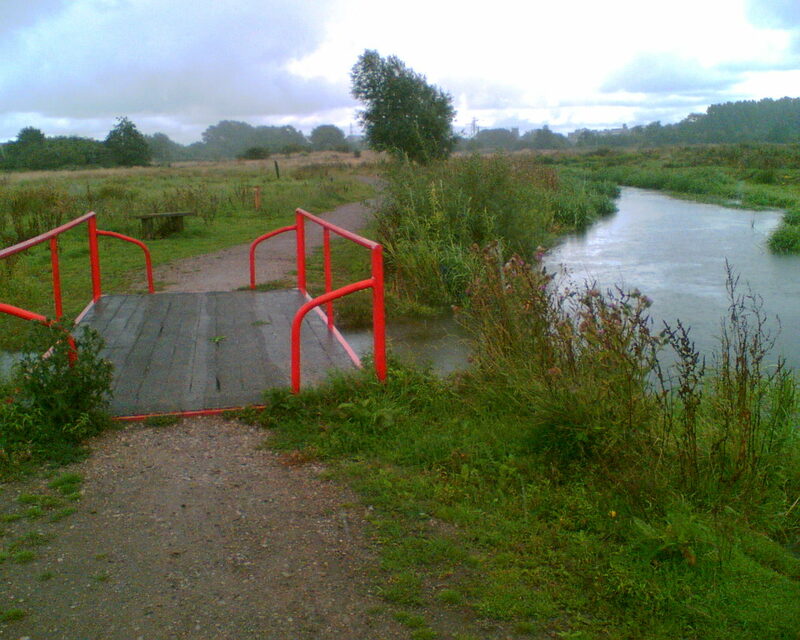 The River Sow is a tributary of the River Trent in Staffordshire, England. The river rises south of Newcastle-under-Lyme and flows south to become the major river through Stafford. At Baswich it is joined by the River Penk, before meeting the River Trent on the edge of the Shugborough estate at Essex Bridge. Its waters eventually reach the North Sea via the Humber Estuary.